Southwest Airlines has implemented a wireless communication system from Flightcom for airport rampers, not only to keep people safe, but to help out the bottom line as well. 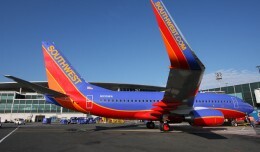 Southwest Airlines on Monday morning said it found subsurface cracks in two Boeing 737s, days after a similar plane was forced to make an emergency landing after it experienced an in-flight fuselage rupture. 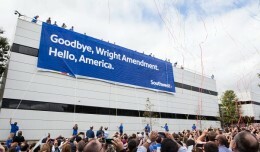 Southwest put on quite a show this weekend to mark their momentous entry into the New York City market. Here are some of the best photos of the first arrivals and the festivities in the terminals. Southwest Airlines and Virgin America celebrated the inauguration of new non-stop service at Dallas Love Field on Monday as the Wright Amendment restrictions officially ended.